Home Uncategorised Hearing Healthcare, What Effect Hearables? Hearing Healthcare, What Effect Hearables? Of the 35 million children and adults in the U.S. who would benefit from a hearing aid, less than 25 percent actually use them. Extreme cost is recorded as the number one barrier of entry for the hearing impaired. However I think that needs to be looked at carefully. Is it the cost at issue or is it the perceived value, not just that is there still some vestiges of stigma as an element? If so, how do we deal with both issues? I think that the answer to the question and increased market penetration is Hearables. The hearing aid world both wholesale and retail is prime for disruption, shouldn’t it be us, within that world, that drives disruption? Because if we don’t, someone else will, and we might not like the changes. The introduction of Hearable devices will have a dramatic effect on the cultural acceptability of ear worn or ear level devices. Ear worn devices outside hearing aids as a concept for the mass market are relatively new, before the introduction of the Sony Walkman there was no history of mass market ear worn devices. Even then, headphones and earphones can not really be seen as ear worn devices in the manner in which we refer to hearing aids. Bluetooth headsets for mobile phones are younger, as a device, they do fall somewhat more into the parameters of our devices. However, cultural acceptance of them was quite low, although it has been building. Whenever you see someone talking away using a Bluetooth headset, your knee jerk reaction tends to be unkind thoughts. Not just that, a Bluetooth headset is not a long wear device, it is something you wear as a solution for a situation. Neither headsets or earphones have positively affected the cultural acceptability of hearing aids. I believe that Hearables will have a dramatic effect on the cultural acceptability of hearing aids. Hearables could open up endless possibilities for the future of our industry. When I say industry, I mean both the wholesale and retail sectors of hearing healthcare. In the case of retail outlets, and every audiology centre is a retail outlet, Hearables offer new opportunities for diversification in product and service offering. They can open up hearing healthcare outlets to completely new prospects and target demographics. The devices are a strong possible new source of revenue flow for hearing healthcare outlets as are PSAPs (don’t spit). These devices are firmly consumer electronics and they already have an avidly awaiting market. 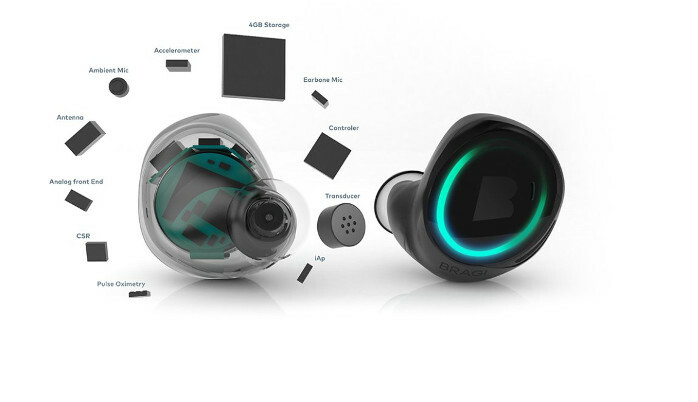 However, by their nature, Hearables are more than just an off the shelf consumer electronic. They are more akin to mobile phones or computers, choice and technical explanation could be important in the distribution model as would physical customisation. Because we are dealing with in essence an auditory device, they are an ideal fit for retail outlets. Not just would they be at ease sitting along side our current products, they will also have mid and long term beneficial effects for any retail outlet who stock them. As a seller of these type of devices you will meet both your target market, your mid term prospective target market and your long term prospective market. You can bring all your panache to play, including them in your hearing healthcare drives and fill your funnel for years to come. Improving the perception of value of hearing aids needs both educational and functional strategies. For the purposes of this post I would like to look at functionality. Imagine the health tracking possibilities that are innate in modern wireless hearing aids if you add a simple sensor set? Through the ear we can monitor steps taken, estimate calories burned, take body temperature, heart rate, oxometry and even take an ECG. This information can easily be used with a connected smart phone for real time fitness activity tracking with the real benefit of audible prompts. Not just activity tracking, but also real time healthcare monitoring. We are all aware of the pressure that healthcare is under with the continuing demands on services made by an aging population. In-home elderly care can be made ever more practical as remote doctors and family members are able to monitor the vitals of their patients and loved ones in real time. Such real time monitoring could have real effects on the medical response time for strokes, seizures and heart attacks in the elderly. Imagine if an elderly Patient has a heart attack at home on their own, how comforting for them would it be to hear in their ear that the event has been logged and the emergency responder called or notified. Medical use cases aside, there will also be growing recreational factors. As we are all aware our demographic is dramatically changing. The boomers are a different breed who want to live healthily into their old age, always on medical tracking would be attractive to them. However, they are involved in structured exercise more than the preceding generation. They are more likely to cycle and run for enjoyment rather than utility. So activity tracking is also of interest and of value to them. The evolution of hearing aids to Hearables as we are beginning to understand them can make our products more attractive. The diversity of the function of these type of devices would radically change the perception of value. The evolution of hearing aids promises to increase the quality of life of users. Quality of life increases that are recognised easily by the users, that they understand and feel as quality of life changes. We know that hearing aids users have a quality of life increase just through increased communication ability. That isn’t something really desired or tangible to people with hearing loss unless they have profound loss. Selling anything is about meeting needs and desires, if they don’t see it as a need or desire, you are at an impasse. Hearables deliver value by meeting a lot of needs and desires. While wearables have a great deal of potential to track activity and improve the reporting of medical information, they are hampered somewhat by their current form factors. The ear and is the ideal location to provide a perfected user experience for these technologies. The hearing aid world both wholesale and retail is prime for disruption, shouldn’t it be us, within that world, that drives disruption? Because if we don’t, someone else will, and we might not like the changes. Any updates on the hearables market?